What are the critical factors that enable the use of feedback data? What influences managers’ perception about the utility and validity of feedback data? How should feedback data be presented in order to stimulate use in decision-making? Who needs to hear what, in what format, with what frequency? How can organizations sustain demand for feedback from decision-makers at different levels? Between April and September 2016, CDA Collaborative Learning Projects and CRS Haiti will study the Cacao Value Chain Project program managers’ perception and use of community feedback. Catholic Relief Services is interested to learn how feedback influences project direction. With CDA’s support, CRS Haiti Accountability team will test improved methods for feedback collection, aggregation and presentation to management. Improving productivity and natural resource management. Adding value through improved product and process. Strengthening institutional capacity of coops to ensure sustained long-term growth. Improving knowledge management and communication strategy. Currently, Catholic Relief Services hosts a toll-free phone line and a locally based community facilitator to listen to cocoa farmers. Feedback provided in face-to-face conversations is not always recorded or tracked by the field staff. Without documentation and aggregated analysis, feedback does not have the level of influence in programmatic decisions and in course corrections that CRS had initially intended. The aggregated analysis could also be shared with implementing partners and IDB for higher level learning and strategy development. CDA is supporting the CRS Haiti Accountability team to develop and apply new approaches for 1) face-to-face feedback collection and documentation which is currently the preferred method for farmers; 2) aggregation of feedback data from several existing feedback channels; and 3) visual presentation of feedback data to management. When CDA visited CRS’s Port-au-Prince office in April to gather perception data from program managers across the country team, we had conversations with managers, community liaison officers and M&E staff to understand and document their experiences and needs regarding feedback collection and use in programming decisions. A survey of managers indicated a strong support, in principle, for use of community feedback to inform decisions. Managers also provided concrete suggestions for how to organize and present feedback data in concise manner and their preferred frequency for such summary reports. While this information was useful, we know that the feedback we need most will come from conversations with farmers themselves. Therefore, the ICT4D team at CRS Haiti is developing a user-friendly form to capture feedback during community visits this summer. By early September, we will measure and document changes in managers’ perceptions of the validity and reliability of community feedback. We will also test our working assumption that timely and user-friendly feedback summary reports increase decision makers’ demand for and use of feedback data. We expect to see increased demand from decision makers for feedback summaries (i.e. making community feedback review a standing agenda item; requests for analysis of community feedback on specific issues, etc) and several documented examples of feedback utilization in decision-making. This blog post is reposted with permission from FeedbackLabs. Funding for this learning collaboration comes from Feedback Labs. CRS’s cacao farming project is funded by the Inter-American Development Bank (IDB) and Root Capital (social impact investment firm). If you’re interested in following CRS throughout the process, the findings will be shared with the Accountability Learning Group in Port-au-Prince and with on the Feedback Labs’ blog and in discussions at the Feedback Summit in October 2016. The Collaboration Fund supports organizations within and outside Feedback Labs to experiment with and build innovative tools and approaches to closing the feedback loop. Two key requirements to receiving support from the Collaboration Fund is a commitment to partnering with at least one other organization in developing and implementing a project, as well as structured sharing of learnings with the wider Feedback Labs community. Isabella Jean is the co-director of CDA’s Collaborative Learning wing. Isabella’s learning and advisory work covers conflict-sensitivity, peacebuilding effectiveness, monitoring and evaluation methods, accountability and feedback loops. 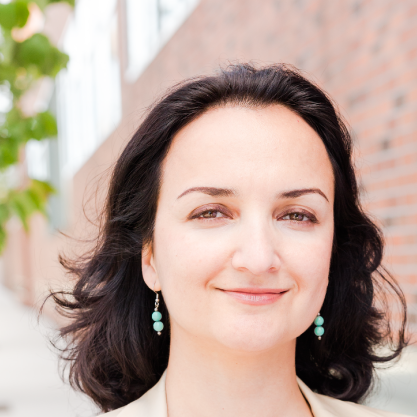 Isabella has led collaborative learning processes and field research in Africa, Asia, Caucasus and the Middle East. In 2012, she co-authored CDA’s book, Time to Listen: Hearing People on the Receiving End of Aid. 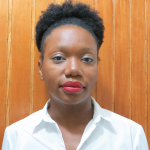 Nathalie Francisque is the Accountability Unit manager for CRS/Haiti and works with project staff in applying and upholding accountability standards within its program portfolio. Prior to her four years with CRS/Haiti, Nathalie worked in the area of beneficiary feedback with Oxfam Great Britain. Nathalie’s passion for communications has led her to use her voice to advocate for the rights and dignity of communities who receive humanitarian aid. Already having a degree in nursing science and a master’s in community health management, Nathalie is continuing her studies with distance training in business administration through Madonna University in Michigan.